On high ground, good progress has been made with gritters, tractors, ploughs and snow blowers, such that access to the moors tomorrow (Saturday) should be resumed. 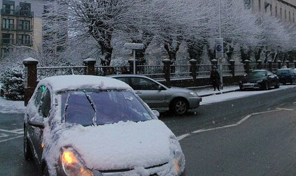 But with temperatures across the county set to dip significantly tonight, dropping to minus 5 degrees in places, minus 3 degrees in Exeter, Devon County Council is reminding people to take care. “It is going to be an exceptionally cold night tonight,” said Cllr Stuart Hughes, the Council’s Cabinet Member responsible for Highways Maintenance. “And with the snowy weather we’ve had, the roads are wet and therefore are likely to become icy.